The state’s 2012 voter ID law was found unconstitutional, but is still on the books. May. 07, 2018, 8:00 a.m. When you get to your polling place to cast your vote, will you be required to show ID? You do not need to show photo ID to vote in Pennsylvania. However, if you’re returning to the same polling location as before, not only can you skip photo ID, but poll workers aren’t even allowed to ask you for it. Despite this fact, you might glimpse old signage that seems to suggest photo ID is required, or have an acquaintance tell you they’re sure they once needed identification to vote. That’s because in 2012, the state did implement a voter ID requirement. It tried, anyway, until the law got shot down in court. Here’s a brief history of Pennsylvania’s recent controversy over voter ID. Then-Governor Tom Corbett, a Republican, signed into law a bill that would require voters to present valid photo identification at the polls. The signing was done in ASAP fashion, just hours after the Pa. House passed the bill. That had come only about a week after the state Senate approved it, so the whole thing was turned around with unusual speed. The bill passed almost entirely on party lines: the entire Democratic caucus voted against it, and all but three Republicans voted in favor. The bill’s supporters argued the law would improve the security of elections, despite Pennsylvania never having recorded any reports of voter fraud. The law was one of the most restrictive voter ID laws in the country — certainly the strictest in any state expected to be competitive in that year’s presidential race. It disallowed welfare cards and school district employee cards as verification, and college IDs without an expiration date. Experts estimated it would disenfranchise at least 9 percent of people in Pennsylvania, and other reports argued it would disproportionately affect people of color. Pennsylvania gave the law a “trial run” in the primaries. During that election, voters were asked for identification but not turned away if they couldn’t provide it. 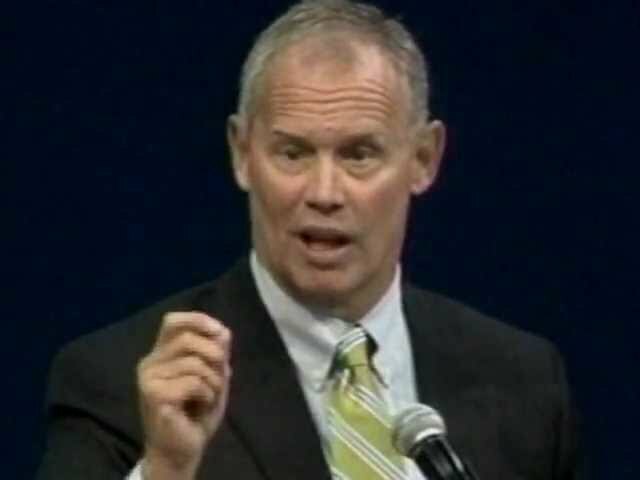 House Majority Leader Mike Turzai, a Republican representing Allegheny County, was caught on video saying the law could help swing the state red and in candidate Mitt Romney’s column in the 2012 presidential election. This was, obviously, a major gaffe on his part. The bill was signed into law on the premise that it would lower voter fraud, not provide political gain for one party over the other. Several organizations, including the NAACP, the League of Women Voters and the Homeless Advocacy Project challenged the law in court, arguing that it would disenfranchise voters who might not have or might be unable to obtain the proper photo ID. The case landed in front of a Commonwealth Court Judge Robert Simpson, a Republican, who upheld the voter ID requirement. His ruling said the “burden” of getting the proper identification did not outweigh the anti-fraud benefits, and that the challengers had not clearly proved the law would in fact deny voters’ rights, violating the constitution. The case was appealed to the Pa. Supreme Court, which decided that no matter whether the law was eventually found to be constitutional or not, there was the calendar to consider. With the Nov. 2016 elections just months away, the Supreme Court asked, would Pennsylvania really be able to get proper IDs to all voters in time? It remanded the case back to Simpson, asking him to hold hearings on the matter and return with an answer by Oct. 2. Simpson came to the conclusion that the time crunch might be too difficult to surmount, and ordered state elections officials not to enforce the law in the upcoming election. This effectively extended the “trial run” instituted back in April’s primaries, although Simpson’s ruling did allow some parts of the new law to stand. The state was allowed to continue efforts to educate citizens that a photo ID would be a voting requirement, and also allowed election officials to ask for a photo ID, even though it wasn’t required. The law was not significantly addressed in court again until the next statewide primary elections encroached, one and a half years later. In 2014, the Commonwealth Court held that the in-person proof of identification requirements enacted under Act 18 of 2012 were unconstitutional. Those provisions are no longer in force even though you may see them in Pennsylvania’s Election Code.